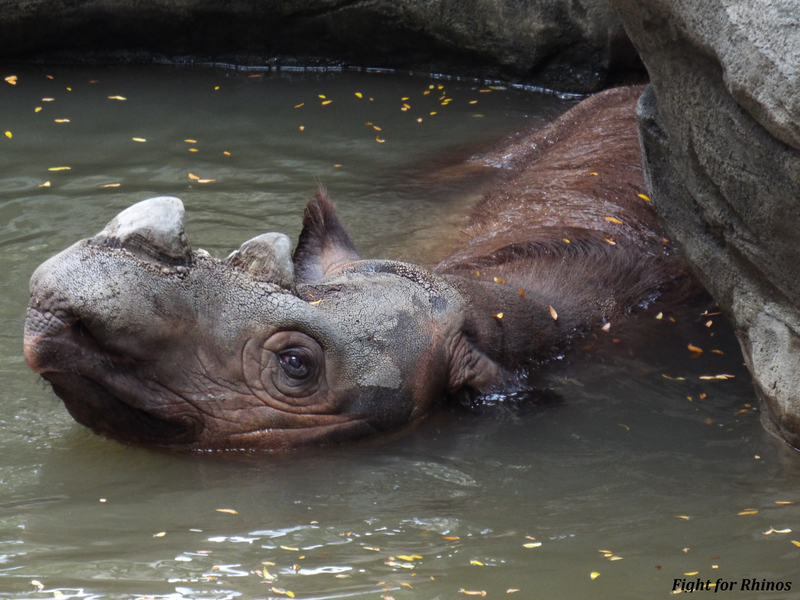 In August the Cincinnati Zoo officially announced they would be saying goodbye to Harapan. A bittersweet but important move for the Sumatran rhinos. Soon he will set out on an epic journey to the Sumatran Rhino Sanctuary (SRS) in Indonesia. This move is in hopes that he will be able to breed and help increase the dwindling numbers in their population. There are only approximately 100 Sumatrans left in the entire world, with only 9 existing in captivity. The zoo has held the distinction of having the first successful birth in captivity in 112 years. From 2001 to 2012, Emi the Sumatran gave birth to three offspring; Andalas, Suci and Harapan. 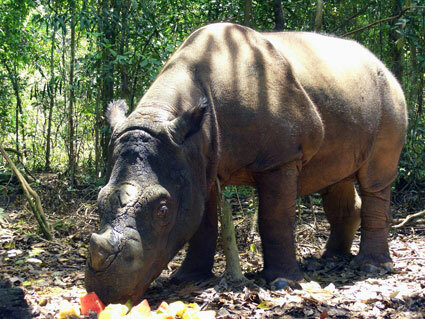 In 2007 Andalas was sent to the SRS and successfully bred. Unfortunately Suci has passed away from the same genetic disposition as her mother, Emi. Now it is Harapan’s turn to join his brother in Indonesia, where he will have 3 potential mates to choose from and hopefully continue his famous mother’s bloodline. “Ultimately, the responsibility for saving this magnificent species now lies squarely on the shoulders of our Indonesian colleagues. Our hope is that they succeed beyond all of our wildest dreams,” said Dr. Teri Roth, director of the zoo’s Center for Conservation and Research of Endangered Wildlife CREW). In addition to this urgent move, it was announced on September 22 (World Rhino Day) that there is another Sumatran at the SRS who is pregnant! This baby is the second offspring sired by Andalas. “To have a confirmed breeding success at SRS weeks before we send Andalas’ younger sibling, Harapan, to the sanctuary for the same purpose is encouraging and fuels the hope that Harapan will also contribute to the survival of his species, “ stated Roth. 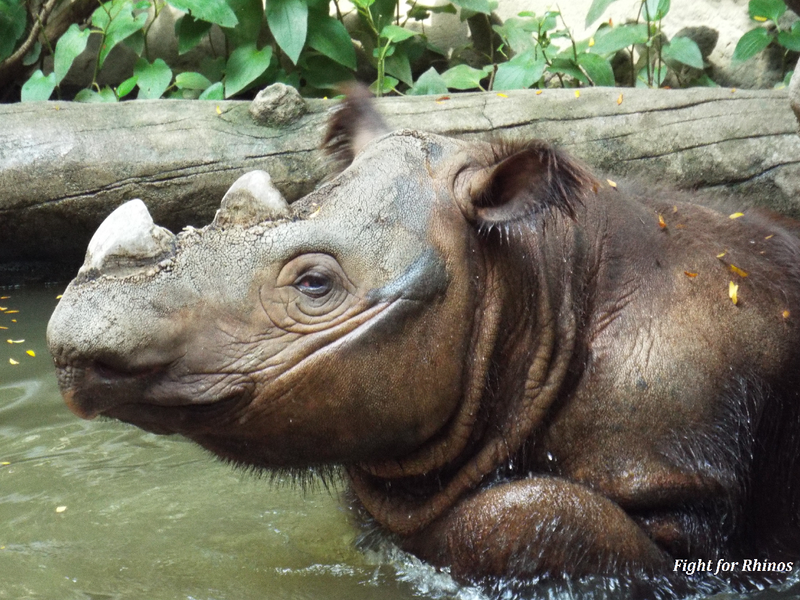 Harapan is the only Sumatran rhino in North America, and one of the few left in the world. Residing at the Cincinnati Zoo he is treated like royalty. He is showered with attention, love and all the ficus branches his heart desires. One of his enrichment activities is painting. His pieces are sold to raise funds for his fellow rhinos, and their preservation. We’re proud to announce he’s painted a special piece for us at Fight for Rhinos. Don’t miss the chance to bid on this Harapan original on June 1st! 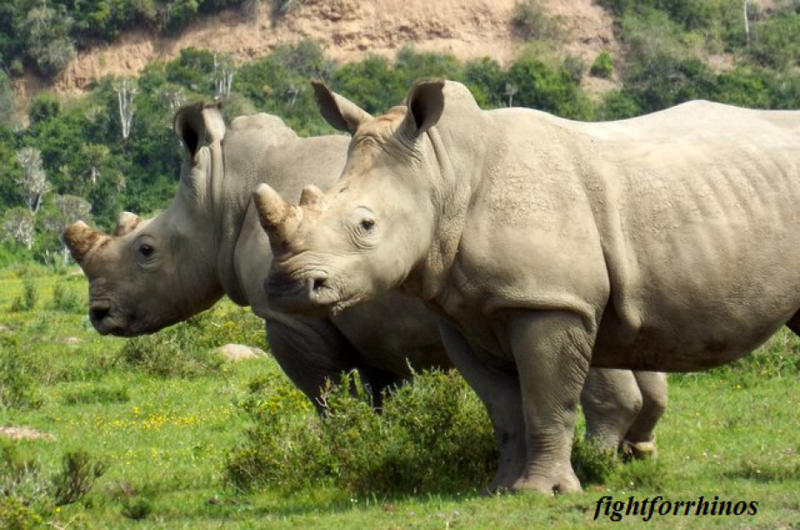 Proceeds raised will benefit Thula Thula Rhino Orphanage, the RPU program in Indonesia (Hary’s favorite), Ol Pejeta Conservancy, Vision Africa and Greater Reserves United. Harapan preparing for his morning routine: health check complete with a distraction of fresh fruit. 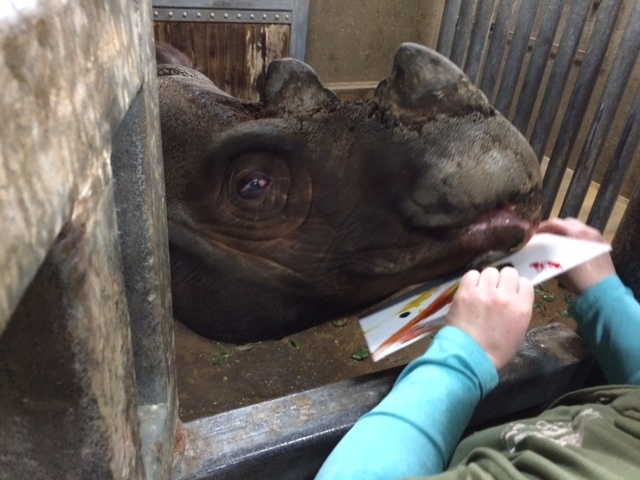 I fell in love with rhinos thanks to Emi, the sweet and gentle Sumatran rhino who lived at the Cincinnati Zoo. Recently I had the amazing opportunity to meet Harapan, her son and one of the few remaining of his kind. Harapan is 7 years old, the youngest of the 3 offspring birthed by Emi. Big brother Andalas is now at the Sumatran Rhino Sanctuary (SRS) in Indonesia, and his sister Suci passed away in March of this year. Harapan is an avid traveler, having lived for a brief time in zoos in Florida and California. In July of 2013 he returned to Cincinnati in hopes of breeding him with his sister Suci. With Sumatrans teetering on the brink of extinction, it was a desperate attempt to help further the species. 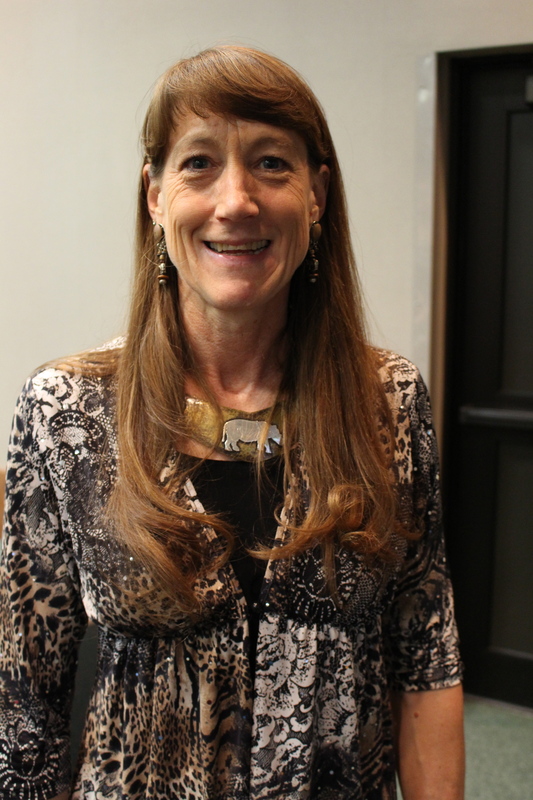 The move proved to be too late, as Suci passed away only 7 months later of Hemochromatosis (iron storage disease). 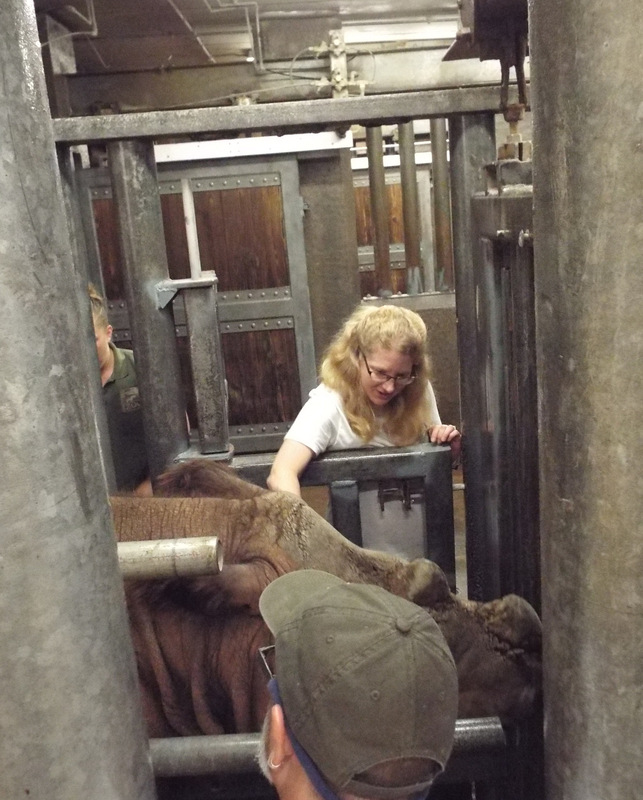 Paul Reinhart is the team leader in the Ungulate Department in the zoo. 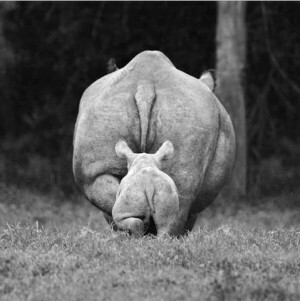 He has worked with rhinos for over 30 years, witnessing the comings and goings of Emi and her offspring. Paul recalls when Harapan returned to the zoo in 2013. Harapan seemed to know he was home, walking out in the yard, and rolling contentedly in the mud. Indeed, he seemed very relaxed and downright spoiled at times, ears pivoting back and forth as he listened to his familiar friend talking. If he wasn’t in on the conversation, Hary would toss his enormous head toward the bars of the enclosure, banging and impatiently squealing until he had our attention. Hary obviously loves people, and seems to thrive on the compliments, pats and rubs the staff heap upon him. Each morning Harapan has blood taken to monitor his health. Since his sister and mom both passed away from Hemachromatosis, monitoring is crucial. Mudbaths and produce are high on Harapan’s list of day-to-day highlights. But what is in his future? The obvious answer seems to be to send him to Sumatra, the same SRS where his brother Andalas now lives. With the species so perilously close to disappearing, it seems the only option. CREW is a research facility in the zoo, dedicated to saving endangered plants and animals from extinction. They utilize research, propagation, in situ protection, education and public engagement to save targeted plants and animals. At the heart of the program lies the Cryobiobank, known scientifically as a genome resource bank. Here there are hundreds of plant and animal species stored. These frozen specimen include Sumatran samples. Does this change the future? Will we see some sort of “Jurassic Park” scenario of bringing back species from extinction? Zoos have been in existence since 3500BC, the oldest being discovered in Egypt, as an exotic collection for a king. What began as small menageries that symbolized power and wealth, morphed into a display for educational benefit by the early 19th century. They’ve come a long way since, with currently over 1,000 zoos in existence worldwide. They exist as zoological “gardens”, “animal theme parks”, “safari parks”, and “aquariums”. 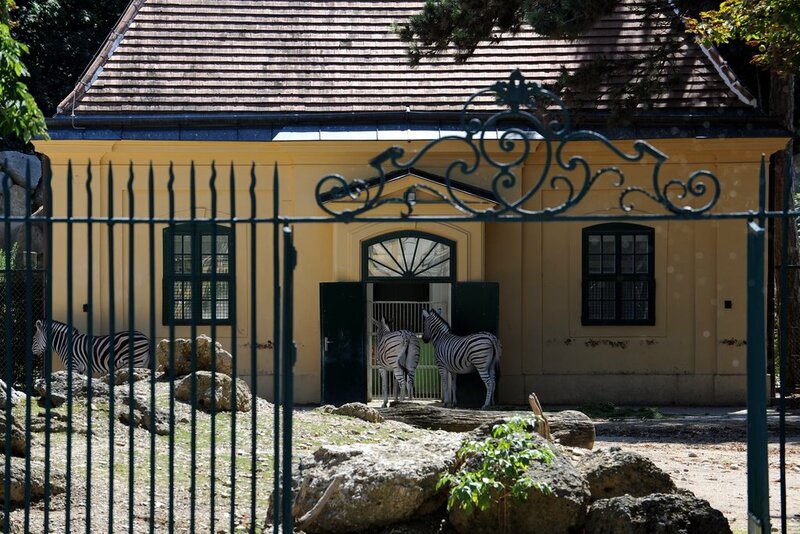 The question is – Are zoos a necessity? In 2014, is there a place for them? 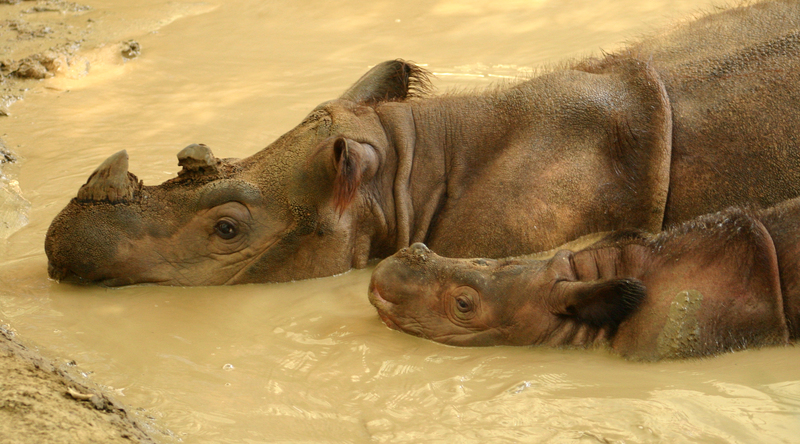 Some animals, like the Sumatran rhino, are difficult to study in the wild. With a consistent environment and the ability to closely monitor and study their habits, preferences and behavior, scientists are able to put conservation efforts in place, through breeding programs. With organized communication outlets like the AZA (Association of Zoos and Aquariums), they are able to monitor joint efforts through a listing of all initiatives, findings, and management of all zoo species. 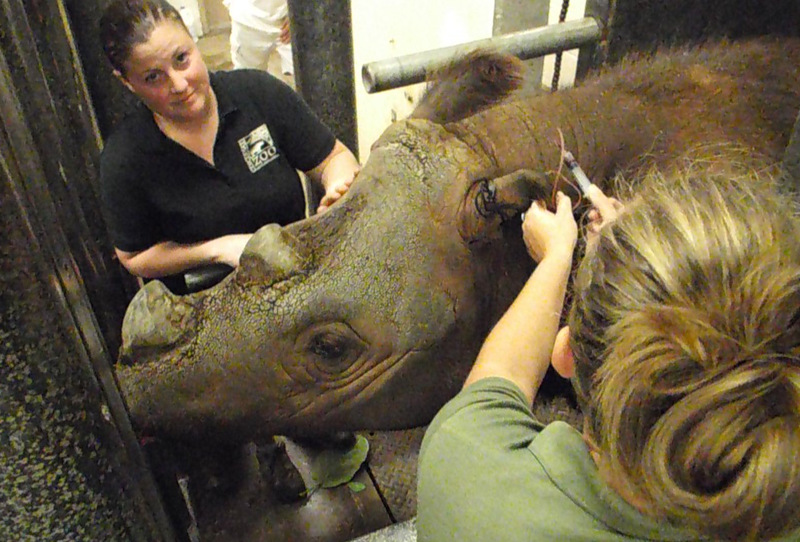 The Cincinnati Zoo is well-known for their aid in the conservation of the Sumatran Rhino. Through close scientific study and the use of endocrinology and ultrasonography, they were able to help produce the first captive born Sumatran in 2001. As part of their role in attempting to sustain the Sumatran population, the zoo is partnered with the Sumatran Rhino Sanctuary in Indonesia and support Rhino Protection Units (RPUs) to prevent poaching. The Chester Zoo in the UK, plays an active role in fundraising for conservation, with its Aid for Wildlife campaign. So far, they have managed to raise money and awareness for eight wildlife projects from China to Nigeria. The Surabaya Zoo, also known as the “Zoo of Death”, has gained notoriety for animal neglect and premature deaths. Just five days ago, a Komodo dragon perished, the second one within the last 3 months. 100 animals have perished since last summer, including a lion who hung himself in his enclosure from an errant piece of metal, and a giraffe who had consumed 40 lbs of plastic. The remaining animals suffer from lack of food and nutrients, skin conditions, tumors, joint problems, and depression. 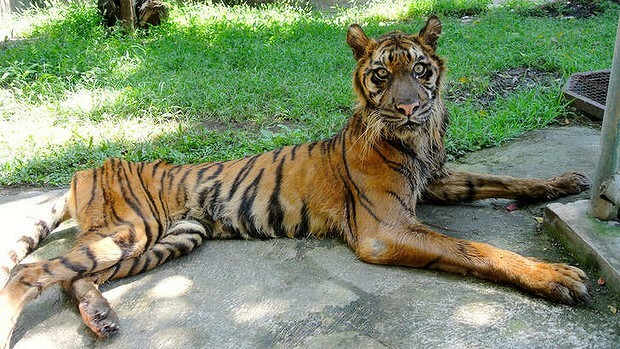 Melani, a sumatran tiger at the Surabaya Zoo, was fed meat tainted with formaldehyde. She has since been rescued. Earlier this year, the Copenhagen Zoo also generated global outrage. They not only euthanized an adolescent giraffe as a means to population control within the zoo, but fed the carcass to its lions within public view. 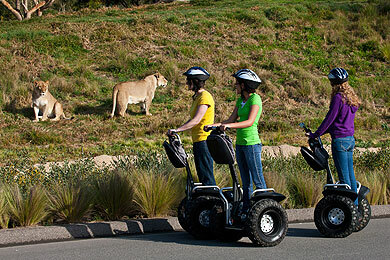 The San Diego Zoo is the most frequented zoo in the US, receiving over 3 million annual visitors. Zoos like Cincinnati serve as ambassadors for conservation. They bridge the gap by showcasing the animal kingdom, a world many would never see outside of tv or computers. For some, it is their first introduction to animals. Education and conservation is critical. But are animal welfare and education prioritized or animals simply being “put on display” in a monotonous lifetime of confinement? 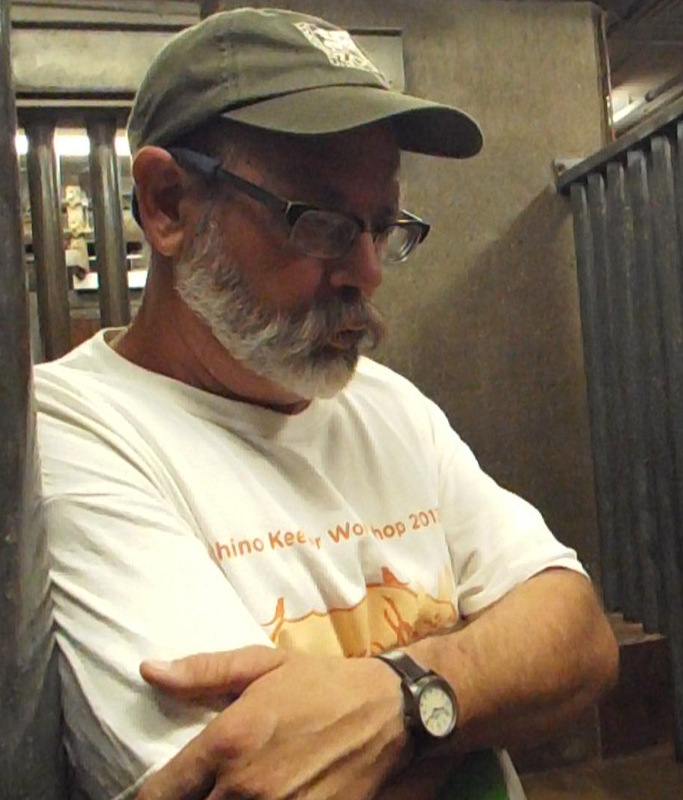 In an Interview with David Hancocks, zoo architect and retired zoo director, he makes observations about the dilemna with the modern zoo.